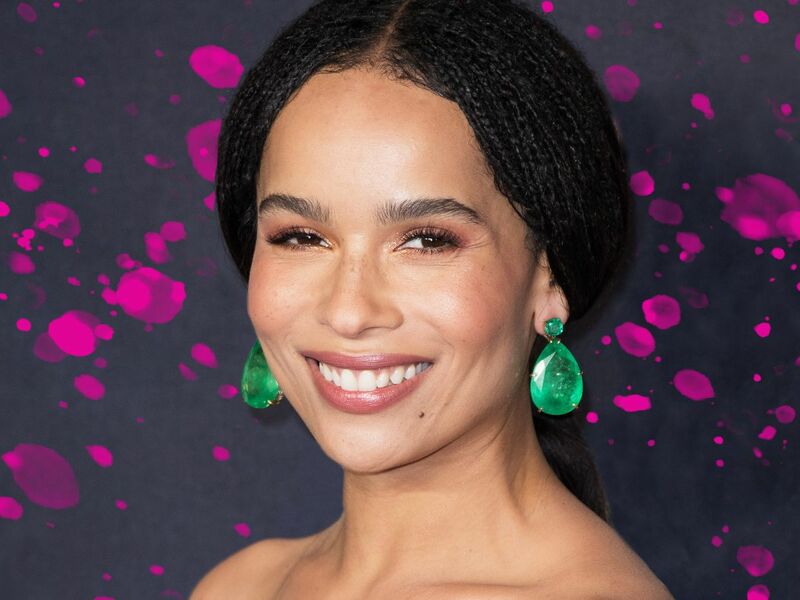 We may not know Zoë Kravitz personally, but we do know that she doesn’t just like tattoos — she loves them. Since getting her first (a tiny heart on her wrist) at age 18, the actress and singer has racked up nearly 60 dainty designs, which are showcased on her arms and hands every time she makes a red-carpet appearance or posts an Instagram selfie. Given her 12-year history with stylish, often tiny tats, it should be a shock to no one that she just added two more. The dragonfly’s story goes back a little longer than a month: Some time between 2014 and 2015, Kravitz added Arabic text in the same exact spot as her new dragonfly, but red-carpet photos from the past few years show that the actress was slowly removing the ink, likely through multiple laser treatments. Just last November, while attending the Fantastic Beasts: The Crimes Of Grindelwald world premiere in Paris, it appeared the old script was nearly gone for good. Thanks to the advent of lasers, tattoo removal is a relatively minor — though expensive — procedure, so there’s only one reason it’s surprising: In an April 2018 interview with InStyle, Kravitz noted that tattoos are permanent, even if you have one you no longer love. “I think the fact that they’re permanent is such a wonderfully intense thing,” she told the publication. “It’s a deep way to adorn yourself, and I think they’re beautiful aesthetically. Even if you get a bad tattoo, it’s like … that’s where you were at that time.” Nonetheless, it looks like this was one tattoo Kravitz was willing to part with forever. Kravitz never revealed why she began removing her shoulder tattoo, but fans pointed out that although she meant for the Arabic script to say “let love rule,” it was grammatically incorrect. Instead of pulling an Ariana Grande and trying to amend the tattoo with more ink, Kravitz apparently decided to remove it altogether and cover up the residual evidence with the new tattoo from Woo — which just goes to show tattoo cover-ups don’t have to turn out to be hot messes (see: Johnny Depp’s “Wino Forever”).